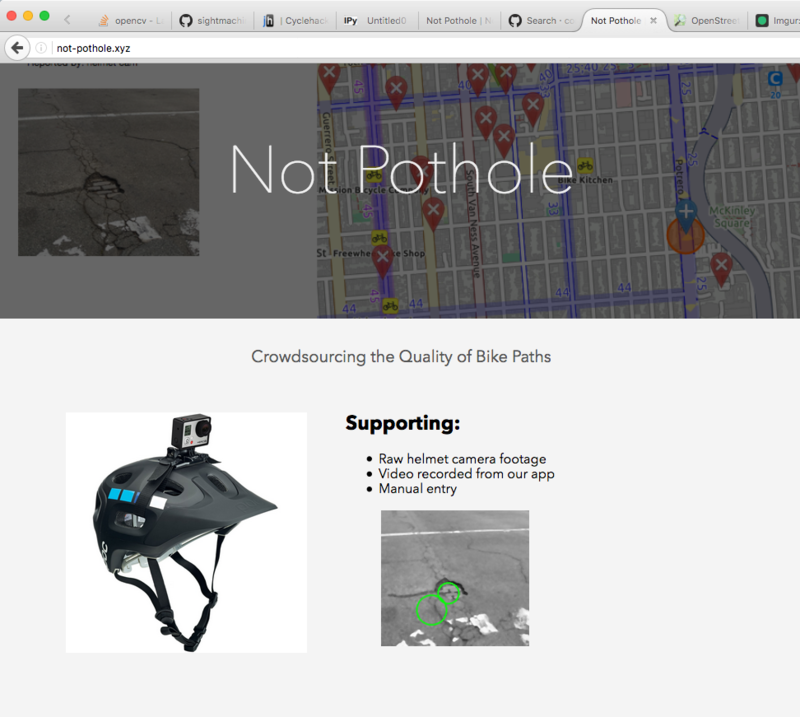 Not Pothole crowdsources bike route quality to ensure smooth riding for everybody. Not Pothole allows users to geolocate and document potholes using a phone application or by anonymously submitting their ride data from their helmet-mounted camera. San Francisco, where we built this hack, has over 200 miles of bike paths, but many have fallen out of repair and the sheer amount of surface makes it difficult for public works to keep up with issues. Potholes, worn away paint, and debris result from a lack of maintenance and make biking less safe and enjoyable. Not Pothole is complementary to services such local government 311. 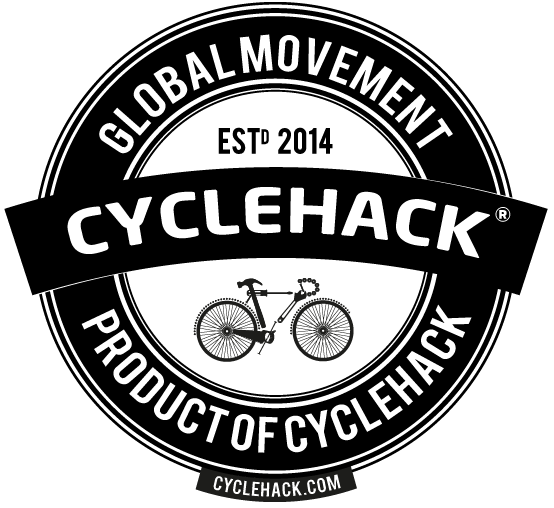 By collecting a large volume of data through crowdsourcing and processing it automatically using computer vision, cities can have better information to help them maintain and improve their bike routes.